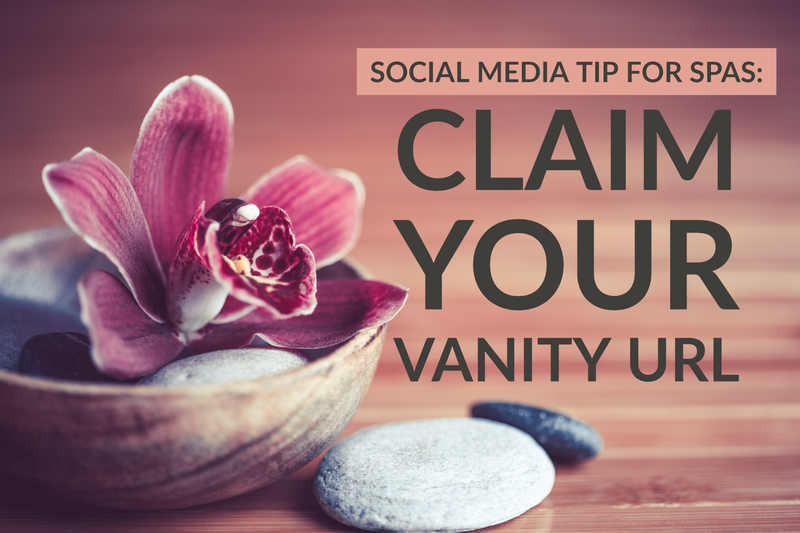 If your page is still a random designation, it’s time to claim your “vanity” URL (which has nothing to do with checking your hair in the mirror). 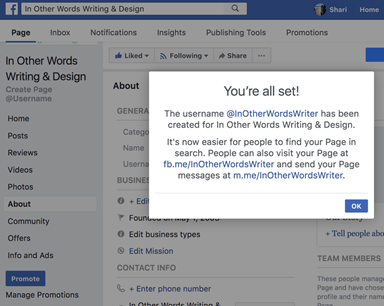 Create a personalized URL for your Facebook page that makes it clear who the page belongs to, even if they don’t actually click on the link. You’ll want to include key parts of your business name or possibly a location. For example, our client Serenity Medical Spa has a vanity URL that is exactly that: https://www.facebook.com/SerenityMedicalSpa. That means they can also be found or tagged with @serenitymedicalspa. Pretty easy to remember, right? But what if your business name is common? Consider including a location, or breaking up the URL with periods. How many businesses do you think there are out there named “Ultimate Salon” or “Ultimate Spa”? Answer: A lot. The Ultimate Salon in Milaca, Minn., uses https://www.facebook.com/Ultimatesalonmilaca/ as the URL, while Ultimate Veritas Spa Salon in Wisconsin makes its vanity URL a bit easier to read by breaking up the individual words: https://www.facebook.com/ultimate.veritas.salon/. 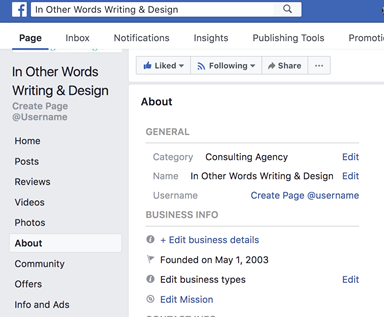 If you want to change your business Facebook page’s URL, click on About on your business page, then you can either create or edit your page username, which will create your new vanity URL. 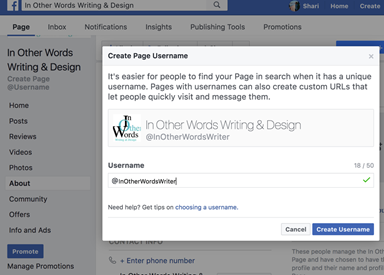 If you haven’t created a business Facebook page for salon, spa, or other small business yet, choosing a username/vanity URL is one of the simple steps you’ll take in setting up a connection between your business and nearly 3/4 of American consumers. Find a step-by-step guide to creating a business Facebook page here and start reaching out today. You can also learn more about the success of our client, Serenity Medical Spa, in building a successful social media presence without advertising by downloading the case study here.